With 7+ years designing for corporate, fashion, educational and medical brands, I've come to appreciate the simplicity of design. 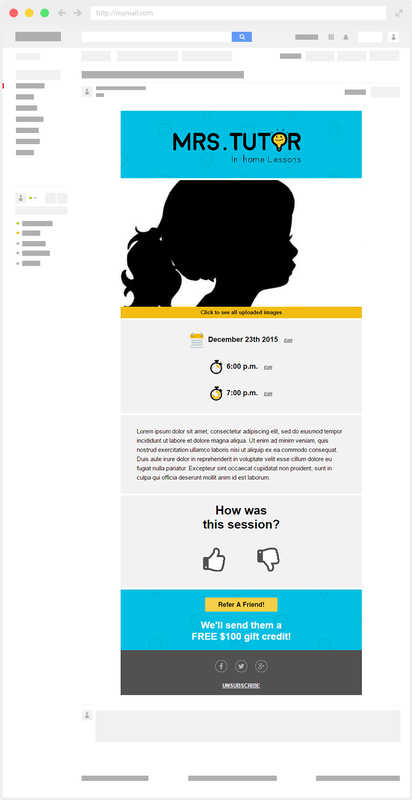 I love creating minimalist but compelling interfaces that take people to action. Over 70 projects done and a Top Rated certification on Upwork prove I am able to provide you with high-quality results. 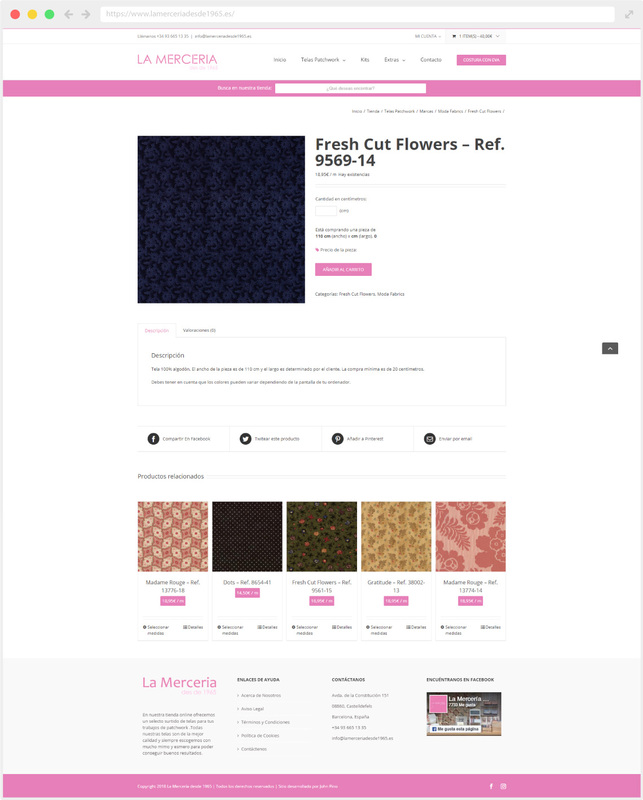 La Merceria des de 1965 is an online shop which sells fabrics and accessories for patchwork. The website is powered by WordPress and Woocommerce. 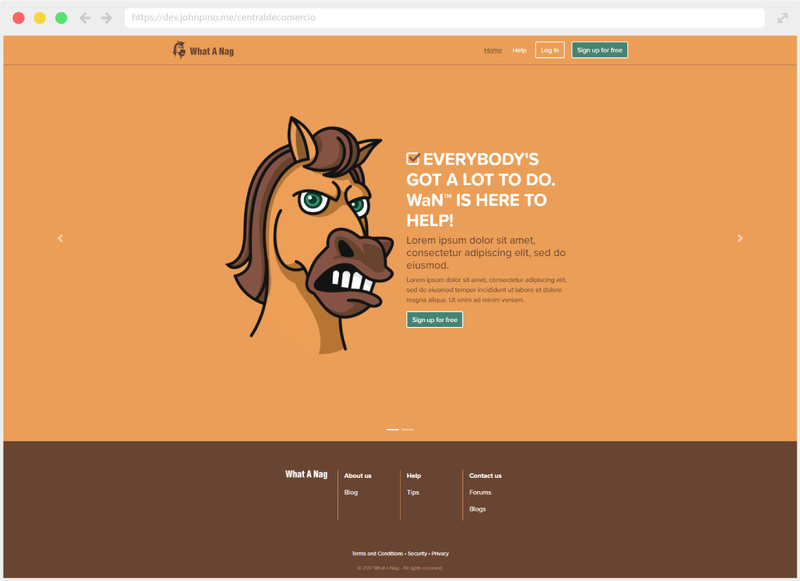 It uses Avada, a meta-theme that was customized to match the brand identity. Tools & Skills: HTML, CSS, PHP, Wordpress, Woocommerce, Avada, Plugin Customization. SASA Ink is a company which offers custom printing services in USA. This website is powered by Wordpress and Woocommerce. 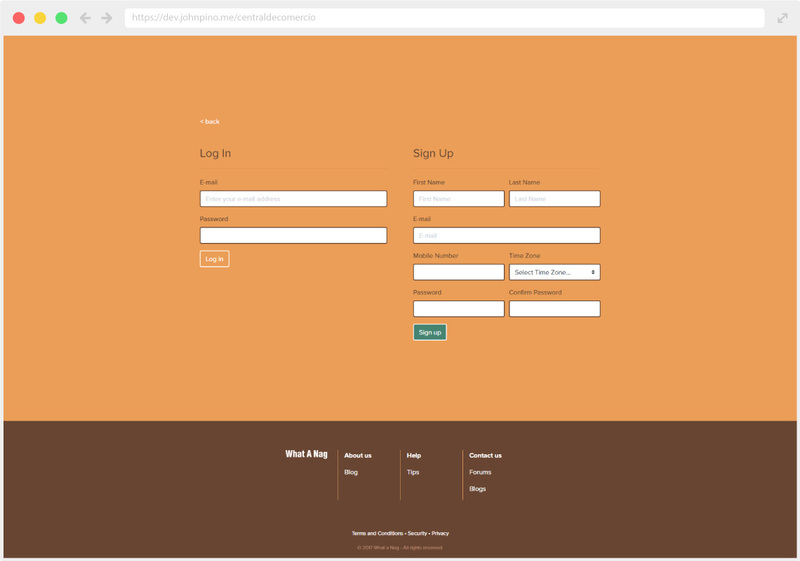 It uses Avada, a meta-theme which was customized to the client needs. 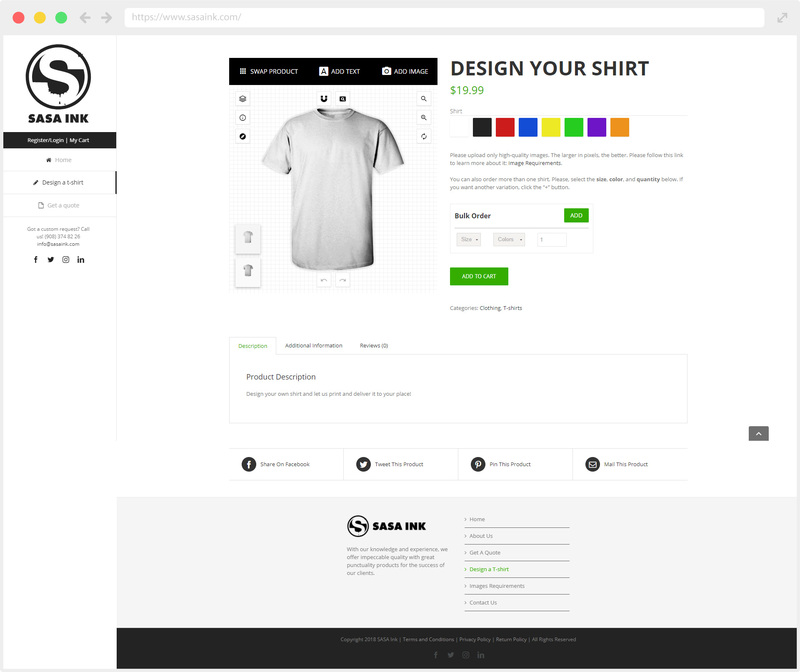 It also features Fancy Product Designer plugin to allow customers to design their own t-shirts. Tools & Skills: HTML, CSS, PHP, Wordpress, Woocommerce, Avada, Theme Development. 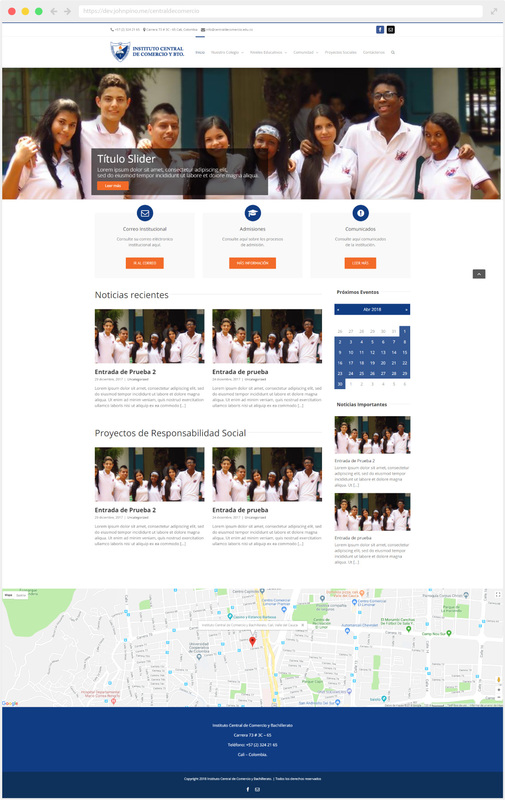 Currently under development: Web Development for a local school in Cali, Colombia. This website is powered by Wordpress. 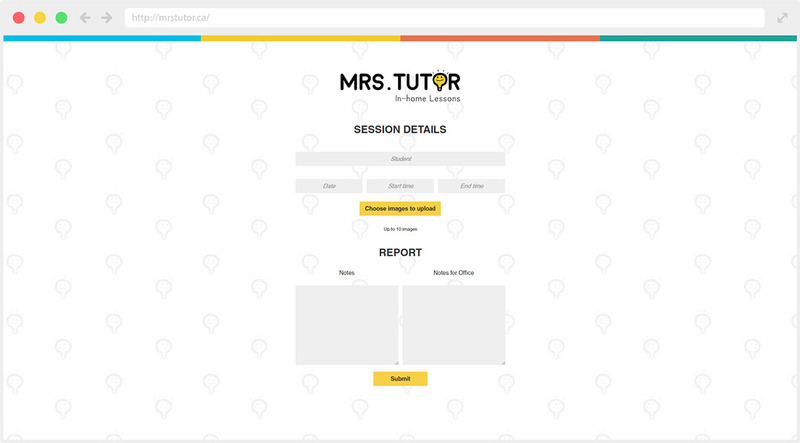 The parent theme was customized to the client needs. 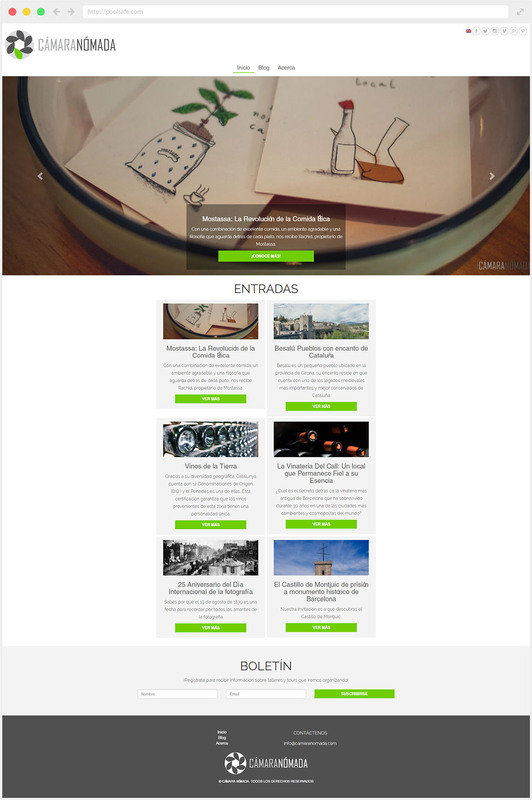 Tools & Skills: HTML, CSS, PHP, Wordpress, Avada, Theme Development. Cámara Nómada is a startup which offers tours in Spain while also teaching people how to take professional photos. The brand was designed by me, from name to identity. I also developed its website and its theme. Tools & Skills: Wireframing, UX/UI, HTML, CSS, PHP, Wordpress, Theme Development. User Experience and User Interface Design for What a Nag! A reminder solution service. It was important to keep the fun of the brand in the UI. 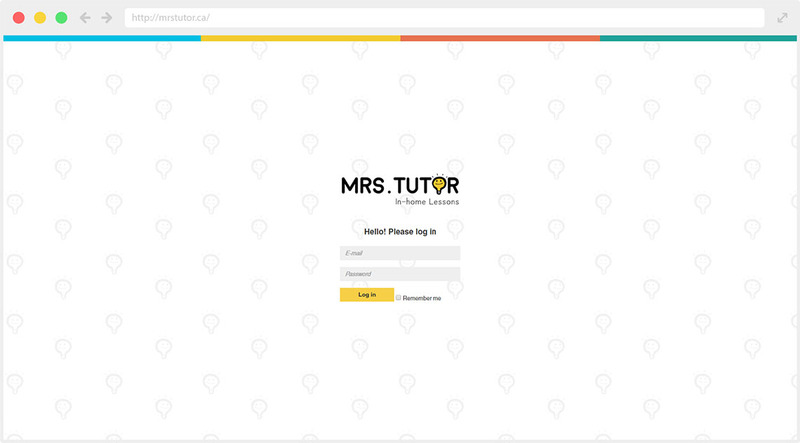 White spaces, bright colors and rounded fonts helped to convey that. Tools & Skills: Wireframing, UX/UI, HTML, CSS, JS, Bootstrap. User Interface for a Landing Page and Index. Sense of safety and trust was key. 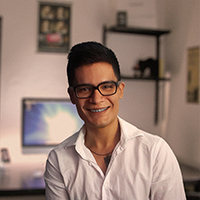 Tools & Skills: Wireframing, User Experience, User Interface, Photoshop, Illustrator. 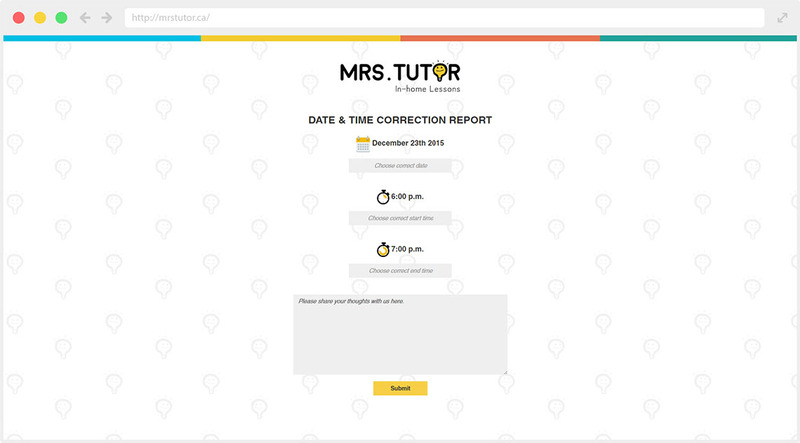 Mrs. Tutor offers in-home tutoring for preschool to grade 8. 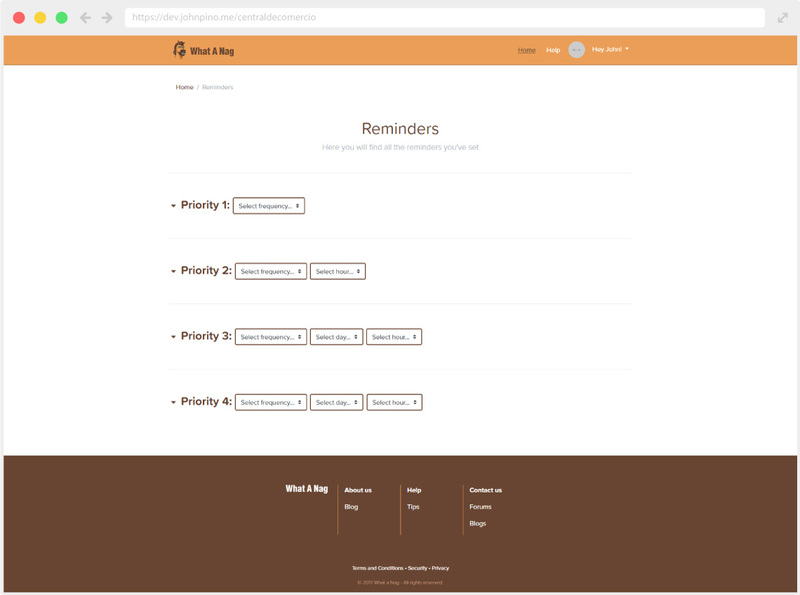 I designed five interfaces and an email template for its online platform. 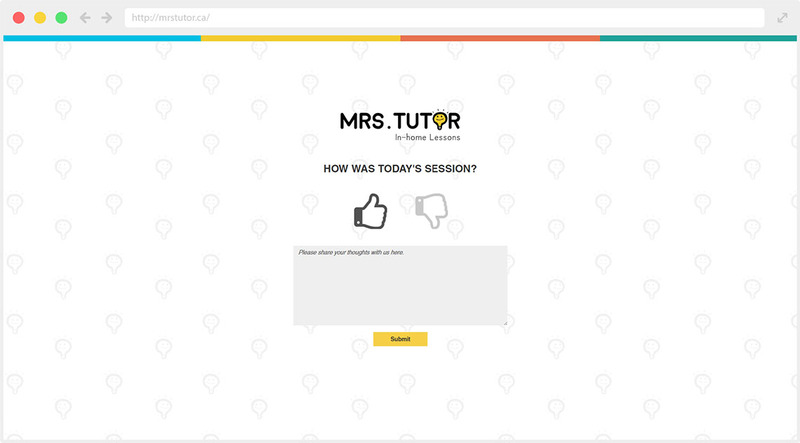 This enables parents to review sessions online and track their children progress. Tools & Skills: Wireframing, User Experience, User Interface, Photoshop, Illustrator, HTML, CSS, JS, Boostrap. 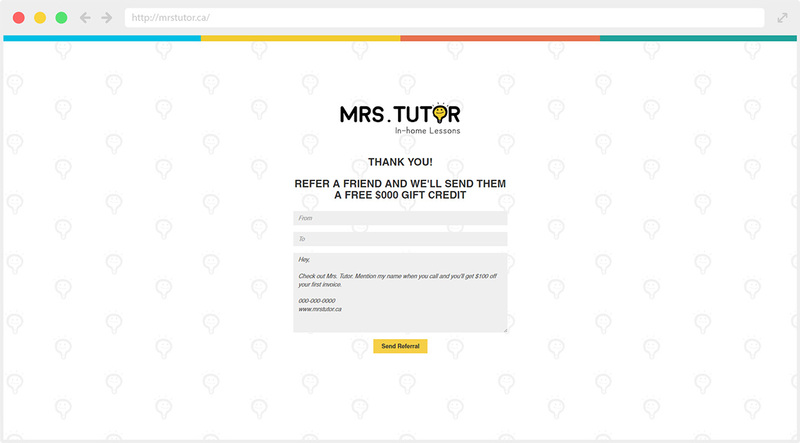 User Interface for a serie of transactional emails. Fully responsive. Tools & Skills: User Interface, Photoshop, Illustrator, Foundation. 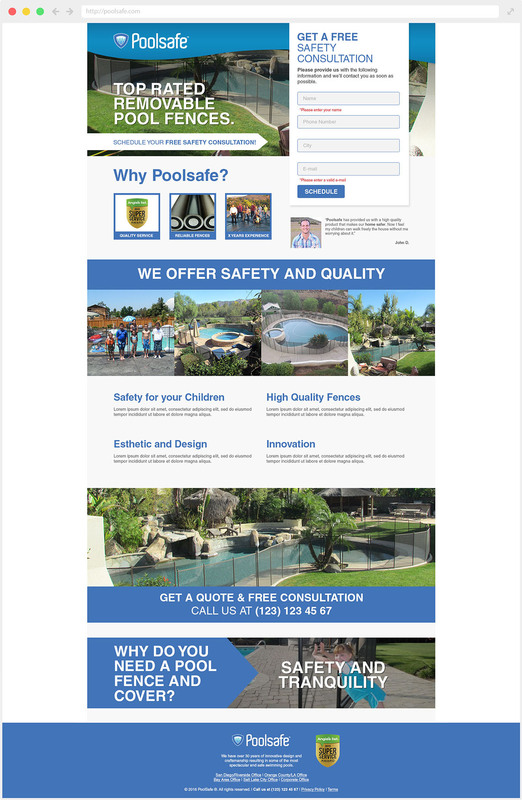 User Interface for email marketing. Fully responsive. We've chosen John once again to complete an in-house project. I thought it was going to be too difficult to use a freelancer on a different continent to deal with the nuances of this particular assignment. I'm pleased to say the job was completed within our time frames without any difficulty. John was extremely patient, making small changes as the project evolved and has an intuitive grasp of the requirements of the task and the quality required. We're happy and so are our clients! John delivered early on a project that was on an extremely tight deadline, and produced top quality work with very few adjustments needed. He is polite, communicative and very easy to work with. I would highly recommend him. John was an absolute pleasure to work with. Total professional in regards to communications and adherence to project. Very patient with my demands and always found a way to work around any problems that arose. Exceptionally skilled in his craft and just 'gets it', no spoon feeding required. Quality of work is high with a deep appreciation for visual harmony. Very honest in informing me with what he can and can't do. Treat with him dignity and he will give his all. Good working with you John. Wish you all the best. Copyright © 2018 From The Desk of John P. All Rights Reserved.